Welcome and Happy New Year! 2007 is sure to be another exciting year for technology innovation. So what can we expect to see emerging in 2007? Here are a few of my own humble predictions. The Apple Iphone will launch with a very large consumer demand. Apple will be releasing a mobile phone device that combines their hugely successful Ipod with mobile phone capabilities. There has been much speculation as to whether or not Apple will make the phone available through all major US phone carriers (Verizon, TMobile, Sprint, Cingular, Alltel) or only a select one or few. As a consumer, I hope that Apple releases the Iphone for all major carriers, which will feed competition and make the device available to the widest possible audience. I certainly hope that they do not start their own “Apple mobile phone service”, which would mean that Apple would be reselling another major phone providers network with higher priced monthly plans. 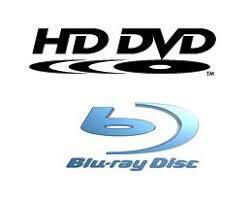 Blu-Ray and HD DVD technologies are here. These blue laser optical disc technologies allow for massive amounts of data storage on a single disc, the same size as a standard CD. While these technologies will drop in price in 2007, I do NOT think that there will be a large scale adoption this year. There are many reasons why I believe these technologies will not be quickly adopted by consumers. Here are just a few of the reasons: Consumer confusion, Blu-Ray & HD DVD hardware and discs will still be expensive, consumers love their DVD’s, DVD’s are cheap and they still look “really good” on that plasma TV and the High Definition television footprint in consumer-land is still at a low percentage. Movie download services and IPTV (Internet Protocol TeleVision) will also begin to take off in 2007, offering additional video services to consumers and possibly acting as yet another competitor to HD DVD and Blu-ray. Microsoft has released a new version of the Windows Operating System (OS) – Windows Vista. Vista will become more known and more prevalent as consumers purchase new computers preloaded with the new OS and as companies begin to upgrade their corporate systems to the new version of Windows. You can expect Vista to become a well known household name in 2007.